Dhaka, 18 Jan, Abnews: Plants look just adorable and keeping them indoors not only brings life to the entire place but they also improve the air quality by reducing toxins existing in the atmosphere so make sure you are decorating your abode with plants nicely. Myna Batavia, Founder of Green Carpet, and Preeti Narula, Founder of Living Balconies, list down ways to decorate your house with plants. Your living room is the best place to be decorated with a lot of greenery. Potted plants are the best choice to be kept in the living room. These pots are available in different sizes and colours to suit your requirements. Ensure that they are visible over the furniture kept in the living room. The dining area should be graced with plants such as money plants, bamboo plants, and ferns in glass bottles and vases. Embellish your bedroom with indoor plants such as Sansevieria which increases oxygen levels at night to have a sound sleep. You can keep small potted plants on bedside tables on either side of the bed. In the open space or balconies, install a shelf or hanging flower boxes along the railings to make it look attractive from outside. Also planter in sync with wall colours and embellishing the place with animal artefacts will increase the beauty quotient of these areas. 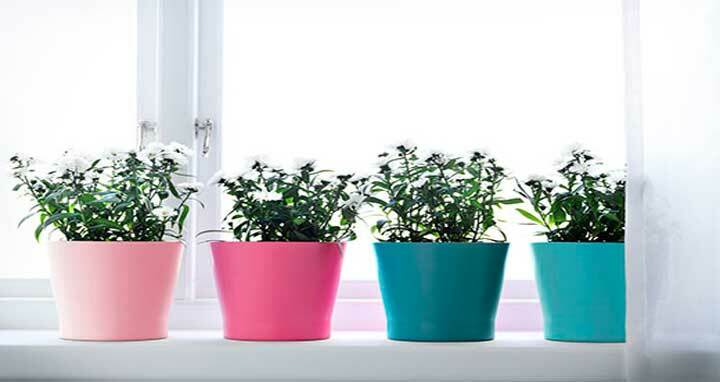 Also just to fill in the empty area of your apartment, you can try keeping big plants in colourful pots. Decorate your living space with indoor plants as they make any area feel bright, lively, calm and beautiful. Place your plants on shelves or wooden pallets to create a mini indoor garden. One can also hang indoor plants like Chinese money plant, Staghorn ferns, snake plants and weeping fig in the balcony. Use your old crockery set for planting to decorate your kitchen, living room, and even bathrooms.